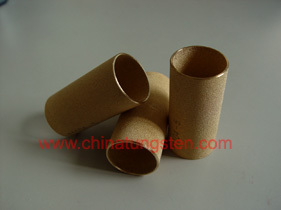 At Chinatungsten Online, we produce very high quality Sintered Bronze Porous Filter element. For the Filtration purpose of Liquids & Gases, it is made by Powder Metallurgical method. 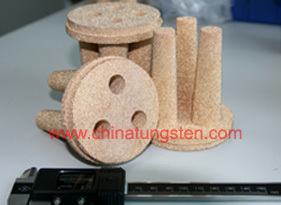 It is produce from spherical Bronze Metal Powders of closely controlled particle size to give a rigid porous bronze structure of uniform pore dimension. 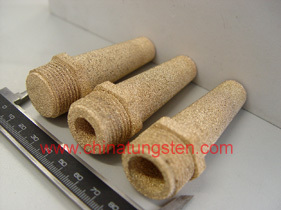 For many years experience of manufacturing, reliable technical supporting and process assurance, we can provide multiplicate filter elements according to the drawings requirement or samples offered from our customers by choose different kinds of material (such as bronze powder, stainless steel).